1923; signed by Paramount, 1927. Awards: Oscar for Wings , 1927; Oscar for Best Writing (Original Story) for A Star Is Born (shared with Robert Carson), 1937. Died: 9 December 1975. A Short Time for Insanity: An Autobiography , New York, 1974. "Director's Notebook—Why Teach Cinema?," in Cinema Progress (Los Angeles), June/July 1939. Interview, in Cinema (Beverly Hills), July 1966. Thompson, Frank T., William A. Wellman , Metuchen, New Jersey, 1983. Pringle, H.F., "Screwball Bill," in Collier's (New York), 26 February 1938. Brownlow, Kevin, "William Wellman," in Film (London), Winter 1965/66. Smith, J.M., "The Essential Wellman," in Brighton (London), January 1970. Wellman, William, Jr., "William Wellman: Director Rebel," in Action (Los Angeles), March/April 1970. Brooks, Louise, "On Location with Billy Wellman," in Film Culture (New York), Spring 1972. Fox, J., "A Man's World," in Films and Filming (London), March 1973. 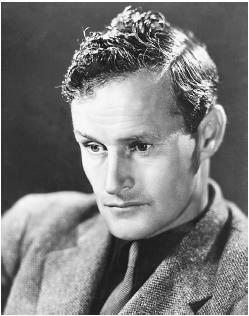 Eyman, S., and Allen Eyles, "'Wild Bill' William A. Wellman," in Focus on Film (London), no. 29, 1978. Langlois, Gerard, "William Wellman 1896–1975," in Avant-Scène du Cinéma (Paris), 1 March 1978. Gallagher, John, "William Wellman," in Films in Review (New York), May, June/July, and October 1982. Youngerman, Joseph C., "The Olden Days according to Youngerman," in DGA (Los Angeles), vol. 20, no. 3, July-August 1995. Hanisch, Michael, "Tough Guy—Fieger—Hollywood Professional," in Film-Dienst (Cologne), vol. 44, no. 5, 27 February 1996. William Wellman's critical reputation is in many respects still in a state of flux long after re-evaluations and recent screenings of his major films should have established some consensus of opinion regarding his place in the pantheon of film directors. While there is some tentative agreement that he is, if nothing else, a competent journeyman director capable of producing entertaining male-dominated action films, other opinions reflect a wide range of artistic evaluations, ranging from comparisons to D.W. Griffith to outright condemnations of his films as clumsy and uninspired. His own preferred niche, as indicated by his flamboyant personality and his predilection for browbeating and intimidating his performers, would probably be in the same general class as highly masculine filmmakers like Howard Hawks, John Ford, and Raoul Walsh. While those three enjoy a distinct auteur status, a similar designation for Wellman is not so easily arrived at since much of his early work for Warner Bros. in the late 1930s is, at first glance, not easily distinguishable from the rest of the studio's output of sociological problem films and exposés of organized crime. In addition, his later films do not compare favorably, in many scholars' opinions, to treatments of similar themes (often employing the same actors and locales) by both Ford and Hawks. It might be argued, however, that Wellman actually developed what has come to be regarded as the Warner Bros. style to a greater degree than did the studio's other directors. His 1931 The Public Enemy , for example, stands above most of the other gangster films of the era in its creative blend of highly vivid images and in the subtle manner in which it created a heightened impression of violence and brutality by giving only hints of it on the screen. Exhibiting similar subtlety, Wellman's depiction of a gangster, beginning with his childhood, graphically alluded to the sociological roots of organized crime. While many of his more typical treatments of men in adversity, like 1927's Academy Award-winning Wings , were sometimes artificial, everything worked in Public Enemy. In Wellman's later films like The Ox-Bow Incident, The Story of G.I. Joe , and Battleground , the interactions of men in various groupings are shaped in such a way as to determine the direction and thematic force of each story. In others, like Track of the Cat , the emphasis shifts instead to one individual and his battle with forces of nature beyond his control. Yet in all cases, the issue is one of survival, a concept that manifests itself in some manner in all of Wellman's films. It is overt and recognizable in war dramas like Battleground or in a disaster film like The High and the Mighty , but it is reflected at least as much in the psychological tensions of Public Enemy as it is in the violence. It becomes even more abstract in a complex picture like Track of the Cat when the issue concerns the family unit and the insecurity of its internal relationships. In the more heavy-handed propaganda films such as The Iron Curtain and Blood Alley , the theme centers on the threat to democratic forms of government, and finally, in the Ox-Bow Incident , the issue is the very fragility of society itself in the hands of a mob. Wellman's supporters feel that these concerns arise from the latent cynicism of a disappointed romantic but are expressed by an instinctive artist with a keen awareness of the intellectual force of images conveyed with the raw power of many of those in Public Enemy. Yet it is the inconsistency of these images and a corresponding lack of inspiration in his work overall that clouds his stature as an auteur of the first rank. While, ultimately, it is true that Wellman's films cannot be easily separated from the man behind them, his best works are those that sprang from his emotional and psychological experiences. His lesser ones have been overshadowed by the cult of his personality and are best remembered for the behind-the-scenes fistfights, parties, and wild stunts, all of which detracted from the production. Perhaps he never got the chance to make the one indisputable masterpiece that would thematically support all of the seemingly irreconcilable aspects of his personality and firmly establish him as a director of the first magnitude.